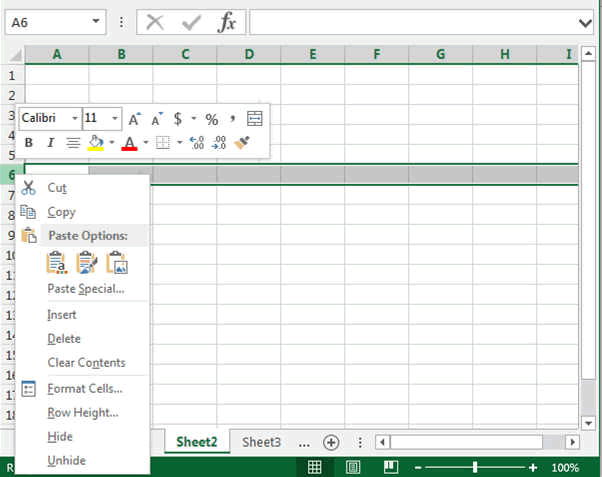 In Excel, a Row is the horizontal area that goes from left to right of your table. It is indicated by a letter. As mentioned in the column chapter there are 1'048'576 cells vertically (from top to bottom) in Excel and 16'384 cells horizontally since Excel 2007. If you think an High definition TV has only 1920x1080 Pixel so much less than Excel. If Excel was fast enough you could display your TV program in Excel :-) but then you could not use So what ever your screen size, you cannot display all the Excel Cells on one TV monitor. You would need more than 8285 HD screen to have one cell per pixel. As per the cells and columns, if you right click on a row the contextual menu will appear giving you all the options available to modify this row or set of rows (like changing the colour, the number formats, etc...). 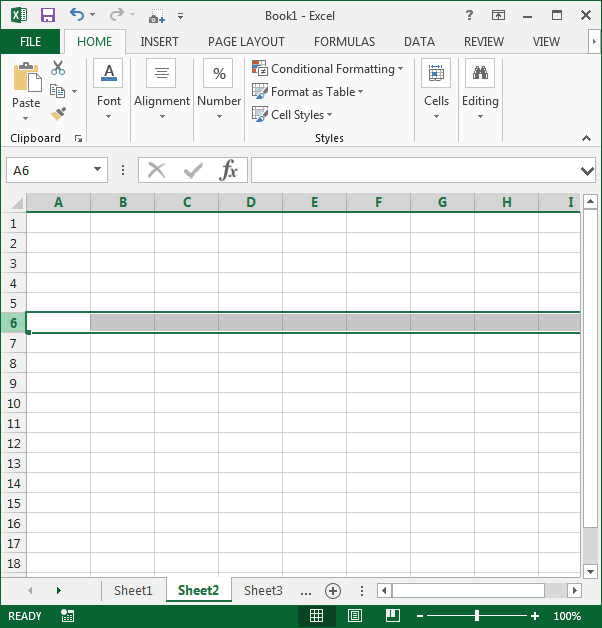 Insert a row in Excel will insert it before the selected Row. These were some basics. Now you will learn by doing.